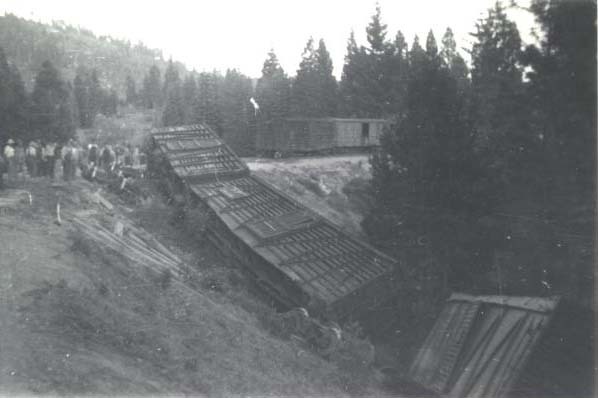 Some photos of miscellaneous wrecks and other mishaps on the railroad. Locomotive #23 after it split a switch out in the woods. 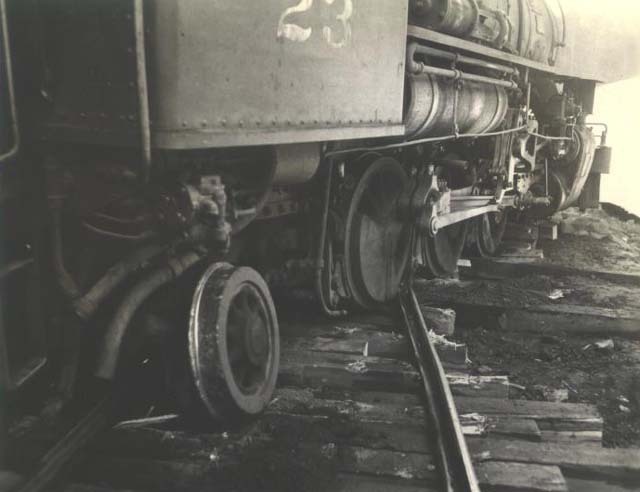 Several more pictures of this mishap can be found on the photo page for the #23 in the Locomotive Roster section of this website. 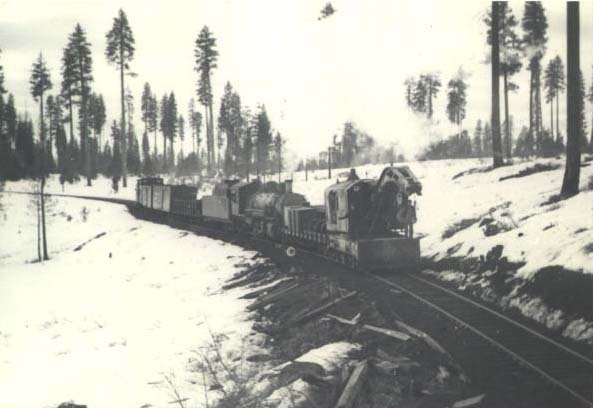 While primarily a log and lumber hauler, the McCloud River Railroad did haul other traffic that came along, primarily relating to the vast herds of livestock that summered in the forests. Unfortunately, livestock cars wrecked just as easy as other freight car types, as demonstrated by this photo. A wreck relief train rolling towards some pile-up out in the woods. This one must be serious, as the railroad has borrowed a "big hook" from the neighboring Southern Pacific.